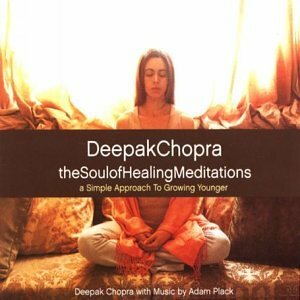 Featuring the soothing narration of Deepak Chopra over the trancelike music of Adam Plack, The Soul of Healing Meditations serves as an introduction to meditation for neophytes and as a more advanced tool to help overcome a physical ailment and/or emotional toxicity. That may make it sound like a digital elixir, but as Chopra says in his liner notes: "We like to tell our patients (at the Chopra Center for Well Being) that the body is the best pharmacy in the world and is capable of making wonder drugs." His message here is that one can naturally prevail over serious life challenges by becoming more attuned to one's body - by relaxing and filtering out the external world, focusing on and influencing internal sensations and biorhythms, and banishing negative thoughts and focusing on the positive aspects of life.